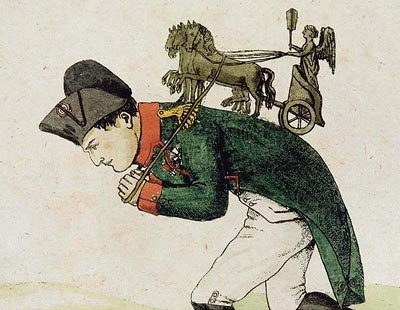 Kamenskoi (Kamensky) – Russian or Prussian? Russian or Prussian? Hero or Villain? Kamenskoi war ein preußischer Offizier, im 7jährigen Kriege von den Russen gefangen, und in ihre Dienste übergtreten, also eigentlich ein Deserteur, der sich durch seine Tapferkeit, vorzüglich unter Suvarow, emporgeschwungen hatte. So, a Prussian officer, captured in the 7 Years War who went over to the Russians and rose through the ranks due to his bravery. Wikipedia however, clearly states that he was a Russian, with Russian forenames, born in St. Petersburg. Strange that Marwitz got it so wrong, particularly since Marwitz assures us that he got the story from Knesebeck who had had private meetings with Kamenskoi, couldn’t he tell a Russian from a Prussian? The standard account surrounding the Battle of Pultusk seems to be that Kamenskoi lost his grip, possibly his mind, left the army, General Bennigsen particularly, in the lurch, and was removed from his command. The account from Knesebeck and Marwitz is that Kamenskoi went out to reconnoitre the left flank of his troops, got separated and lost in the dark and the terrible weather and, getting on in years, became ill. 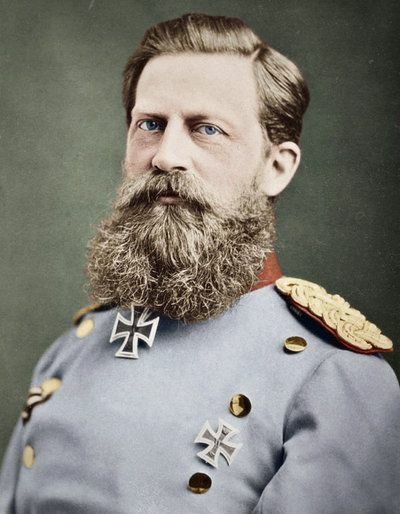 However he managed to retain enough of his wits to order a regrouping of the army near Novograd, in order to prepare for a large scale offensive against the French. This order was obeyed by General Buxhöwden but ignored by Bennigsen, who saw an opportunity to attack a weak French force, and thereby increase his own prestige, furthermore, by writing a scathíng report about both Kamenskoi and Buxhöwen he hoped to take command of the army. As indeed happened. If Helen Mirren (a descendant apparently?) is reading this, which I doubt, then if it’s any consolation Marwitz seemed to think Kamenskoi was a decent man and that the confusion around the battle of Pultusk was not down to him, but to the “greedy” and “arrogant” Bennigsen. Wo dieser in dem Augenblick gewesen? weiß man nicht, wahrscheinlich todtkrank, denn er starb bald darauf, vermuthlich aus Aerger über seinen Fehlgriff. Marwitz’s account differs wildly from the received one, personally I trust him more than Wikipedia, but I don’t suppose we’ll ever know the complete truth. So war also zuerst Kamenskoi, der noch ein Preußisches Herz hatte, und den Zweck des Krieges erkannte, dann der tapfere Buxhöwden beseitigt, der Kaiser war betrogen, und der hochmüthige, geldgierige Intriguant (Bennigsen) führte die Armee nach seinen, nicht nach des Krieges Zwecken. Today is the the 129th (only 129, how the world changes) anniversary of the untimely death of Frederick III and the ascension of Wilhelm II. You could say, and plenty have, that this heralded the end of Prussia, although I think laying the blame for WW1 on Kaiser Bill is a little too convenient. Time for another Marwitz instalment, this time a couple of small, superstitious observations from 1806. 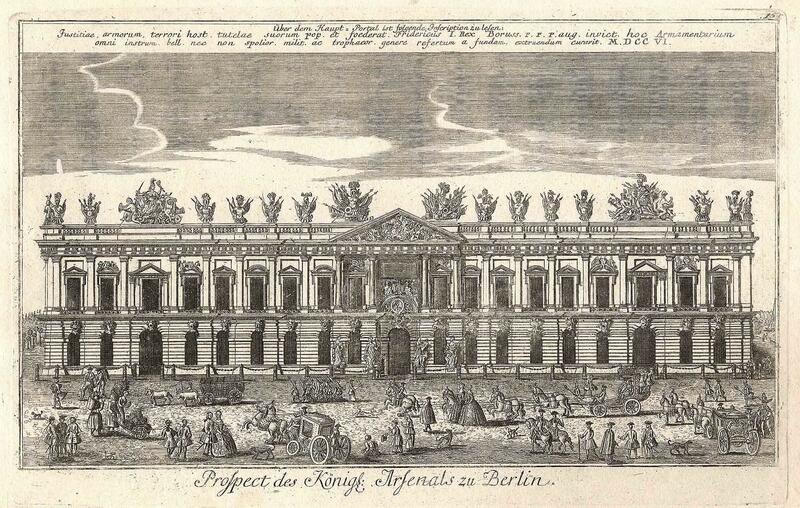 In the lead up to the war with Napoleon (der Pferdedieb), Berlin and the surrounding area were apparently shook up by the bad omen of the head of the statue of Bellona (Minerva) being blown off the top of the Zeughaus in a storm and crashing to the ground. It wasn’t restored until 1817. It’s the group on the left in the photo below. — So viel war Wahr, der Stock stand da und der Stall war wunderbarer Weise nicht mitverbrannt. Hauptmann von Blumenstein, billeted with Marwitz in Dresden in 1805 seems like quite the character. Although stereotypically French (lively, quick-witted and educated, angeblich), he maintained nonetheless that Blumenstein was his real name. 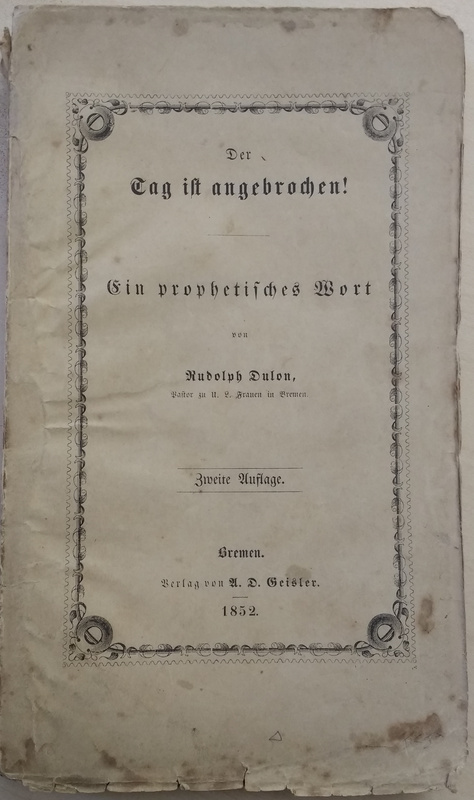 After leaving France (where he served in the Royal Musketeers) because of the revolution he becomes a dedicated Prussian officer, complete with, if Marwitz’s transcription is anything to go by, a rather curious accent. Ick bin ein Deutscher! Ick verstehe der verfluchten Kerlen ihre Sprake nick. Wollen sie mit einem Deutschen Offizieren reden, können Deutsch lernen! Müssen wir wohl Französisch lernen, wenn nach Frankreich kommen! Later he retired to a small estate near Breslau where he apparently speculated unsuccessfully with a new type of brick(? ), and ended up on his uppers. Aus dem Nachlasse Friedrich August Ludwig’s von der Marwitz, Volume 1, Pages 138-139. Today I received a copy of Der Tag ist Angebrochen! in the post, via AbeBooks as usual. *Edit: Now sandwiched in my bookcase between Bismarck’s Gedanken und Erinnerungen and a book of his speeches. You can feel the spinning in the Bismark Mausoleum.